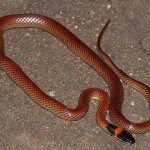 Length of a Red-Naped Snake up to 40cm, reddish brown colour other netted patterning, belly is white, head and neck is glossy black, with a orange bean shaped marking on nape. 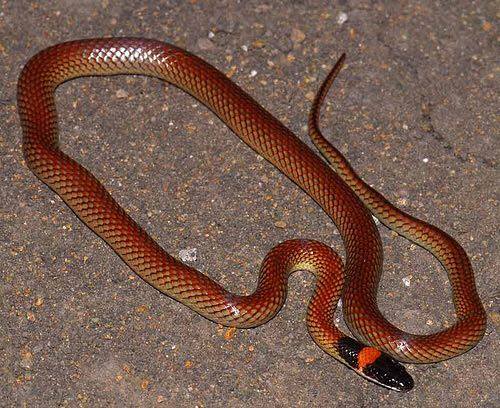 Nocturnal snake. Weakly Venomous. Open forest, grasslands and woodland.